In a recent interview with The Seattle Times, Nintendo of America president, Reggie Fils-Aime gave his opinion on the Wii U in the console wars. 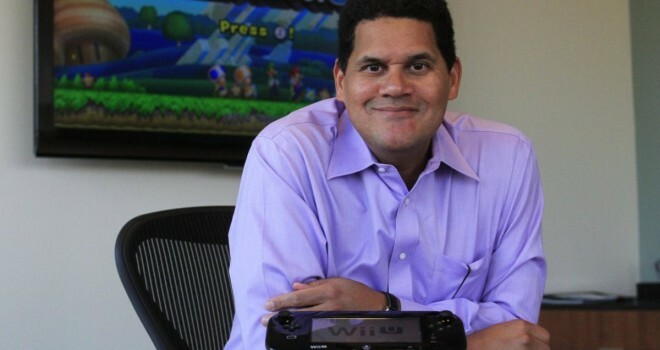 It looks like Reggie is feeling pretty optimistic about the Wii U, and rightfully so. Mario Kart 8 boosted Wii U sales immensely, and their momentum only continued after E3. People all over the internet agree that Nintendo dominated E3 this year. The Super Smash Bros. scene is booming more than it has in years, and with the announcement of a new Star Fox title, and Zelda on the way, Nintendo could very well turn things around. As long as they keep the games coming, and continue to make a positive buzz, the Wii U will be on its way to a comeback.